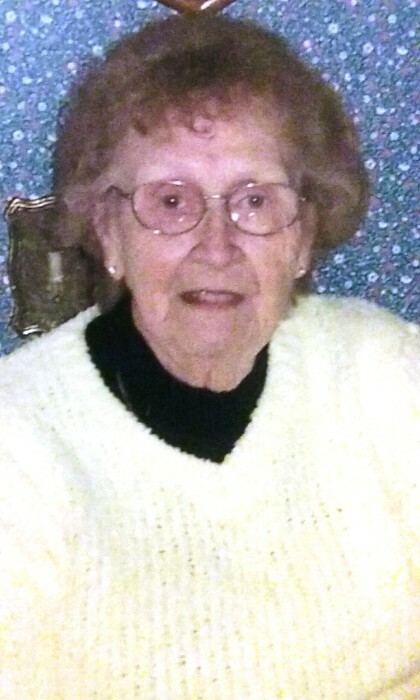 Joyce I. Thompson, age 89 lifelong Gallatin County resident passed on this life peacefully, November 12, 2018 in Ferrell Hospital, Eldorado, IL. Joyce was born in Omaha on June 24, 1929 to the late Clyde and Edith (Irons) Mayhue. She was married to George Thompson who preceded her in death. Joyce was a hard worker, doing many things in life from, factory work to cleaning and caring for many different families. She was a wealth of knowledge for county history, and had the uncanny ability to remember everyone’s kinship. She was known for her crocheting among her friends as many have afhgans she made. She loved to work puzzles, listen to the police scanner, but mostly loved sitting at her kitchen table drinking coffee when her friends would stop by. She will be missed by many. Joyce is survived by her daughter, Cecil Ann and Hank Tanner of Georgia, her son, Dennis and Sue Thompson of Harrisburg, IL, 4 grandchildren, Jason (Aleka) Tanner, Lisa (Jimmy) Cornett, Erin (Jonathan) Trout, and Ann Kate Stanelle, great grandchildren, Chayse, Joclyn, Wyatt, Zaelynn, J.T., Kendra and Kate Margaret. She was also blessed with many friends, especially Mary Lane, Betty Cox, Kay Rehbein, and the late Frances Dyhrkopp. She was preceded in death by her son Billy and a brother Dave Mayhue. Visitation for Joyce will be Wednesday, November 14, 2018 from 10:00 AM to 12 Noon at the Cox & Son Funeral Home in Shawneetown. A graveside service for Joyce will immediately follow at the Oak Grove Cemetery near Eldorado.